Home Collection 2 Piece Pillow Sham Set - Hotel Quality - 13 Colors! Hotel Collection 2 Piece Pillow Sham Set - Hotel Quality - 13 Colors! Anne De Solene creator of high end bed linens continues the French Tradition of Quality. A rigorous selection process is applied when choosing high quality fabrics. By choosing Anne De Solene you are getting a refined style, lasting quality and an immaculate finish. About Dupione silk - It is tightly-woven with a highly-lustrous surface. It is similar to shantung, but slightly thicker and heavier, This technique gives the fabric an iridescent effect. This is a natural feature of the material and is not a defect or imperfection, it is part of the desirable exoticness of the silk. LOGO -TEAM LOGO SCREENED IN CENTER OF FRONT. New Listing Anne de Solene of Paris Euro Sham Twist White/Rose 100% Cotton 26" x 26"
Refresh and revive your bedroom with Anne de Solene embroidered percale bedding from France! The Twist bedding collection by Anne de Solene features a contemporary take on a classic, feminine floral in soft combed cotton. Pairing embroidered details with crisp cotton percale, this inviting bedding from SONIA RYKIEL creates an elegant look for your bedroom ensemble. Sonia Rykiel is known in Paris for Premium Quality Products. Fill pillow insert not included. Color: Tan, Chocolate Brown. Material: 100% Cotton. 100% Egyptian Cotton Yarn Dyed Jacquard. Pillow Sham 21" x 36". Machine wash warm -tumble dry low. It is printed with horizontal stripes in strong and colorful shades. Sonia Rykiel is known in Paris for Premium Quality Products. The Sham will add the finishing touch to your bedroom ensemble. First Quality. Made in Spain, the material is premium quality and long lasting. Sonia Rykiel is known in Paris for Premium Quality Products. Boudoir 12" x 16". The Sham will add the finishing touch to your bedroom ensemble. NIP CALVIN KLEIN BAMBOO FLOWER, HYACINTH RHYTHMIC SHEETING STANDARD PILLOW SHAM. Condition is New with tags. Shipped with USPS Priority Mail. 100% Egyptian Cotton Yarn Dyed Jacquard. Pillow Sham 21" x 26". Crafted from the finest material available. Machine wash warm -tumble dry low. Lovely NIP Barbara Barry Queen sham. Lace Crystal Frost Floral 100% cotton. Poppy and blue pinstripes rendered in a unique, yarn-dyed seersucker lend Parisian flair to this cotton bedding collection by Sonia Rykiel. Satin trim along the sham. Sonia Rykiel is known in Paris for Premium Quality Products. Made in Spain, the material is premium quality and long lasting. Sonia Rykiel is known in Paris for Premium Quality Products. The Sham will add the finishing touch to your bedroom ensemble. Crafted form the finest materials available. Featuring a unique quilted pattern, this sham layers with modern printed bedding from the Omari collection for an eclectic look. Color : Ivory. 70% Cotton / 30% Silk. Polyester fill. Helpful Links. 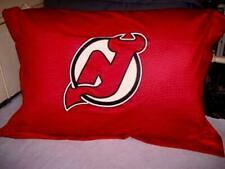 Pillow Sham 21" x 36". Scalloped edges finish the sweet look on the sham. 100% Egyptian Cotton. Machine wash cold -tumble dry low. Sonia Rykiel is known in Paris for Premium Quality Products. 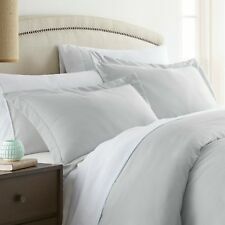 100% Cotton Percale. Crafted in crisp 200-thread count cotton percale. The Sham will add the finishing touch to your bedroom ensemble. Crafted form the finest materials available. New Listing NWT Pottery Barn Morgan euro sham twilight blue 26" x 26"
Wyatt Quilted STANDARD Sham. Featuring crimson red, black, white and tan plaid fabrics in a block layout. Reverses to a khaki, crimson red, black, and moss green plaid. Fill pillow insert not included. Croscill Kassandra European Pillow Sham. Condition is New with tags. Shipped with USPS Priority Mail. 1 sham only no other accessories included. New! RALPH LAUREN Francoise Madeleine FLORAL, KING SHAM MSRP $130 Ready for immediate shipment – we ship fast! Thanks for looking and we welcome any questions. Visually stunning, the Parker Sham features classic log cabin blocks, studded with patchwork primitive stars. Expertly crafted stitch in the ditch hand-quilting on rich burgundy, deep navy and natural shade micro plaid cotton. 100% Egyptian Cotton Yarn Dyed Jacquard. Pillow Sham 26" x 26". Crafted from the finest material available. Machine wash warm -tumble dry low. Nwt The Company Store Legends Verona Sham. Condition is New with tags. Shipped with USPS First Class Package. 2 Croscill 26" x 26" Pillow shams, European style. Dark navy blue with gold/pewter or bronze color trims/tassles. I took one out of the package and it has a white spot on it - I do not know if it is something that can be cleaned so I am disclosing it. These retail for $67 each!. NO smoking home! Pet free home! FREE SHIPPING WITH BUY IT NOW OPTION. 100% soft cotton. Fill pillow insert not included. Color: Red, Light Khaki. Material: 100% Cotton. Coordinates With All Studio Collections Such As Greenvale Green & Seaview Blue. 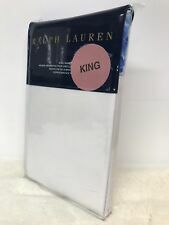 Ralph Lauren Studio AWNING STRIPE (1) King Size Pillow Sham. Retired Ralph Lauren Collection. Echo New York Marco Euro Sham. Condition is New with tags. Shipped with USPS Priority Mail. 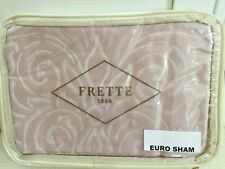 Sonia Rykiel Eclat One (1) EURO SHAM NEW!